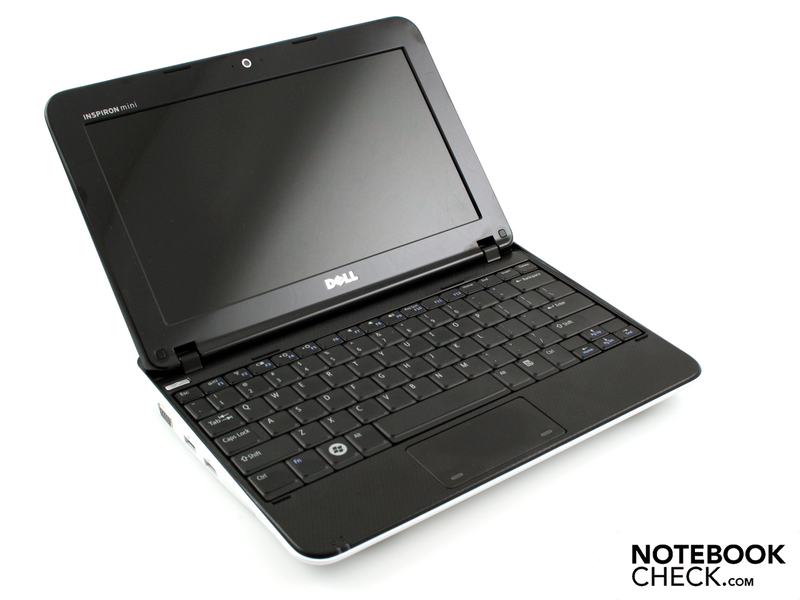 The Mini 1012 from Dell is supposed to be a netbook for little HD movies. But not only movie fans will take delight in the HD Ready resolution of 1366x768 pixels. The Broadcom Crystal HD chip manages decoding of 720p or 1080p videos quite automatically. 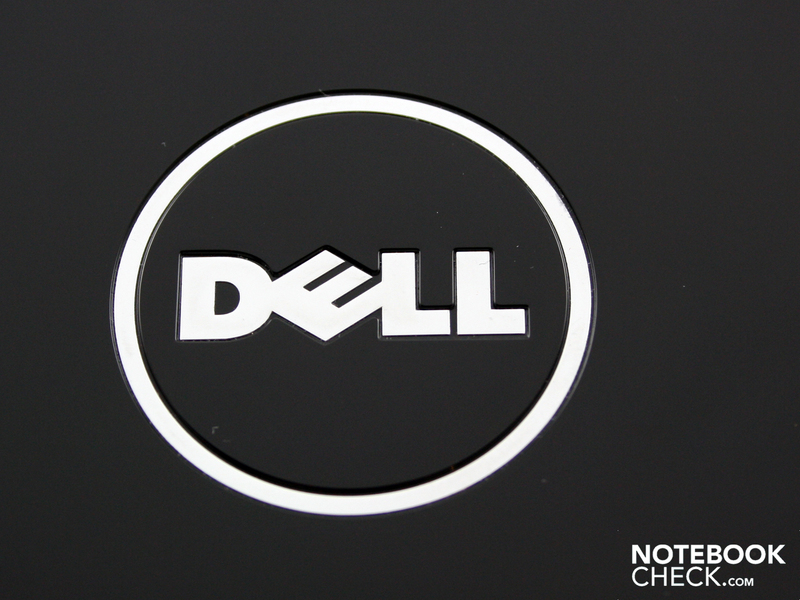 Will Dell's 10 incher have a good battery life despite HD features? We'll clarify that and more in this comprehensive review. Netbooks are found a dime a dozen. But only few equipped with Intel's Atom are suitable as a mobile movie slave. 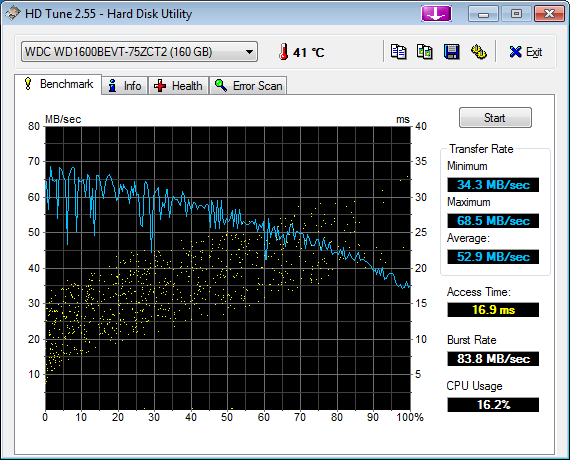 The reason for this isn't a too small hard disk, but the integrated graphic cores incapable of HD. The second netbook generation called Pine Trail didn't provide for any improvements in this matter. The DirectX 9 GPU, GMA3150, integrated into the processor, did just as much for HD decoding and 3D benchmarks as its predecessors, the GMA950 and GMA500. The weak Atom processor needed the assistance of an HD graphic card in order to be able to render 720p or 1080p movies smoothly. Up till now, Nvidia Ion systems were an alternative (Samsung N510, HP Compaq Mini 311, Lenovo S12). Dell now rushes forward with the Inspiron Mini 1012 and puts a Broadcom Crystal HD chip (H.264 decoder) into the Pine Trail platform. Has thus a perfect 10 inch entertainer been created? What does the 3D performance look like? Does it benefit from the Broadcom chip? All answers can be found in this review. The Inspiron Mini 1012's case seems to have been chiseled out of one piece. Imagine a tray with a low edge. 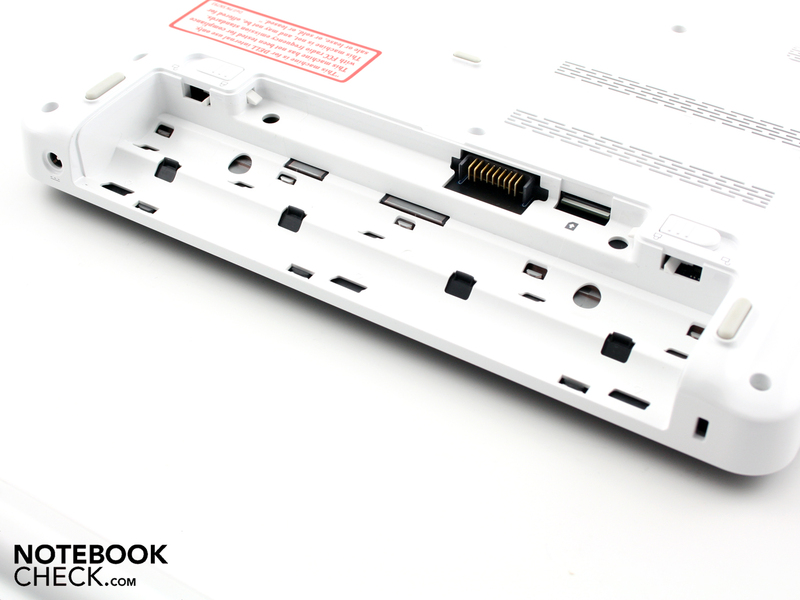 The Mini's motherboard and the insides are placed into this tray. The wrist-rest and keyboard seal the tray towards the top. We can't twist the little chassis with our hands. Merely the battery can be irritated. 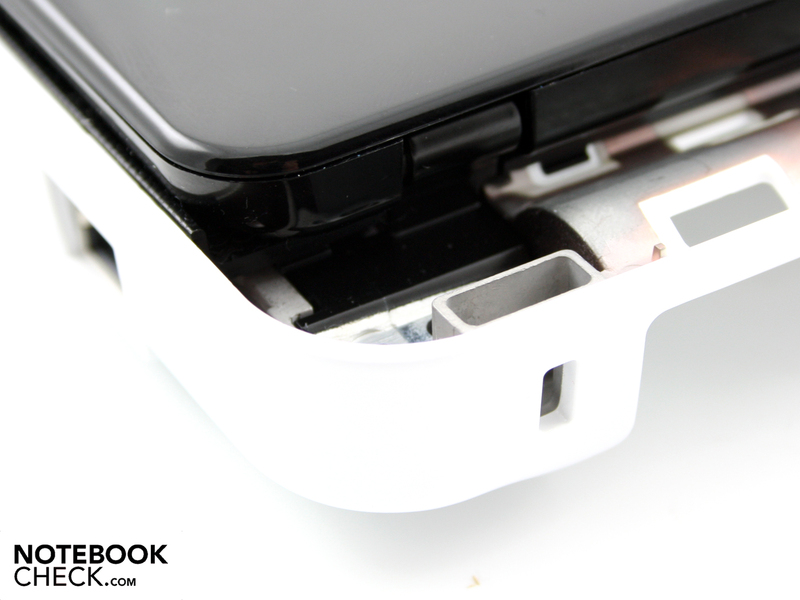 The base plate doesn't have any maintenance covers and can't be pressed even faintly anywhere. The same applies to the wrist-rest - it's as hard as a rock everywhere. 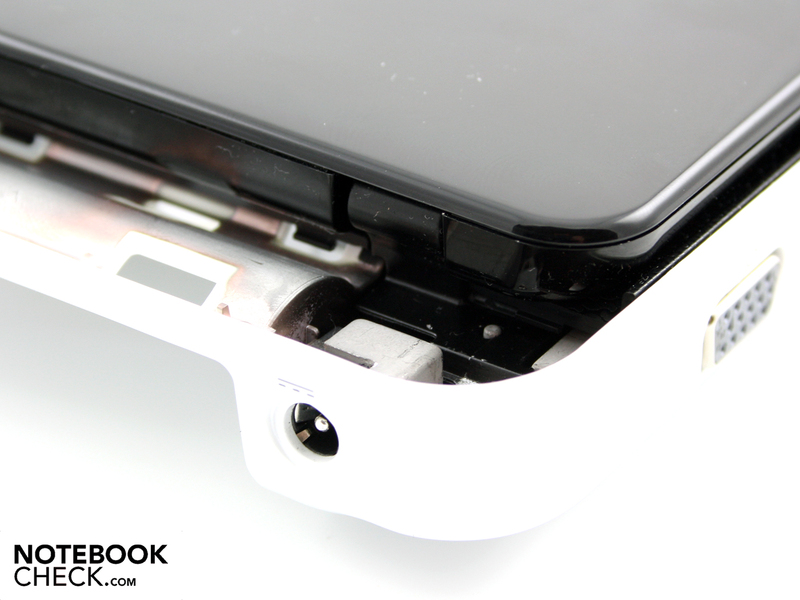 The optically unusual hinge mounting gives the stability a big advantage. Because the joints aren't positioned on the case's far outside edge any longer, they have a very tight fit. 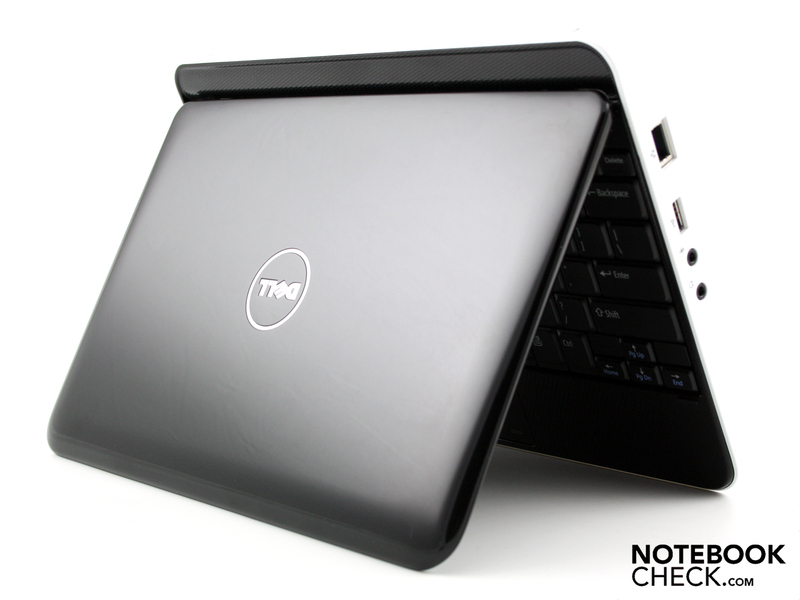 Moreover, Dell waives covering the hinges. Therefore, the display hinges are massive. The lid is kept firmly in place due to these traits. The screen doesn't teeter during shaky car rides. That's perfect for movies. The lid and its high-gloss surface are stiff and can barely be twisted or pressed. The wide display bezel also contributes to that. The Mini 1012's fairly heavy but massive case sits well in your hand (1.38 kilograms). 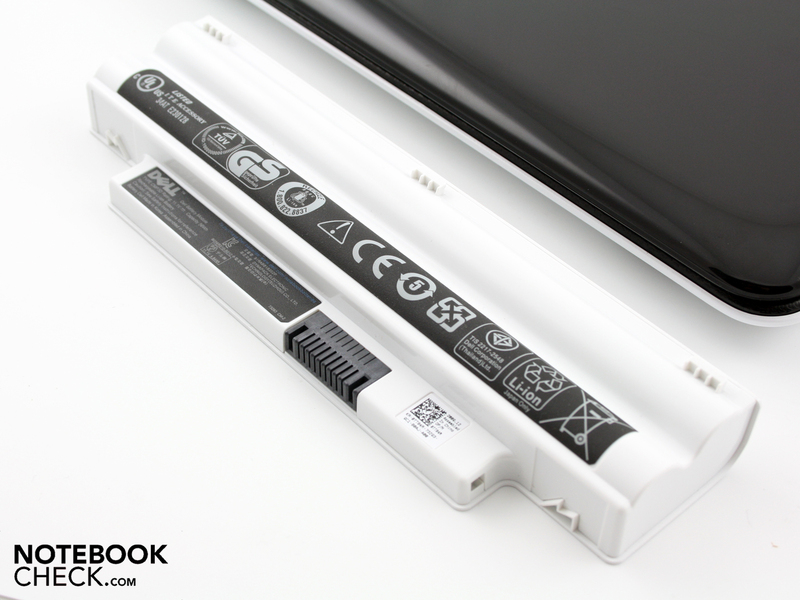 The ledge behind the display is beneficial especially for snatching the netbook and carrying it around. You can safely grab it when the display is open. The high-gloss finish provides for fingerprints. They are barely visible on the case due to its white color, though. But, in return, even more so on the black lid. The silver Dell logo is surrounded by greasy prints after a short time. We find the VGA port aside from two USB ports on the left. The same side is completed with a cardreader for MS, SD, and MMC memory cards. The USB ports have a charge function. The user can, for instance, charge his iPod or a cell phone. The right side reveals a network cable socket and a USB port. The headphone and microphone sockets are found in a good distance beside these. The sockets are made of plastic, which could break under intensive use. The owner can chain his Mini 1012 via a Kensington cable to a counter in an exhibition booth. The so-called Kensington lock is found, like the DC-in, on the mini notebook's back side. Normally, the omission of a HDMI port wouldn't be at all significant in a netbook. But we're talking about an HD suitable 10 incher in the case of the Mini 1012. 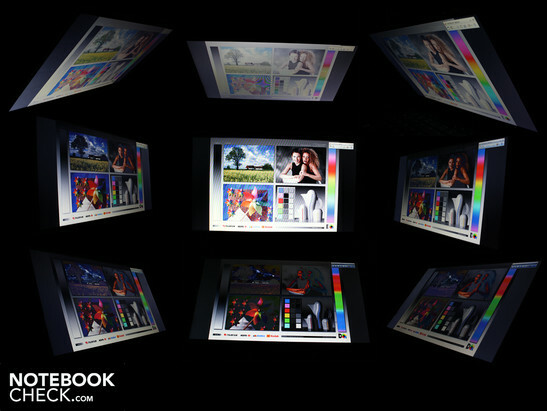 The smooth rendering of high resolution videos could be used for projecting it onto a TV set. The HDMI, already used for years in televisions, is standard. The audio signal is also transmitted via an HDMI cable to the TV. Unfortunately, the Inspiron Mini 1012 doesn't have an HDMI. Thus, a use as a movie player isn't applicable for the TV set at home. An HDMI on a netbook wouldn't be a novelty for Dell. 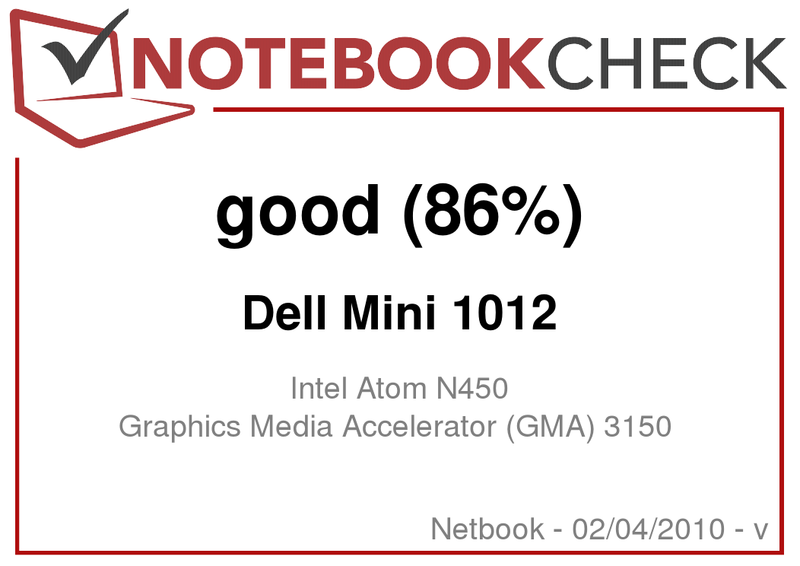 The Inspiron Mini 10 with an Atom Z530 and GMA500 graphics had such a connection - even without HD capable graphics. 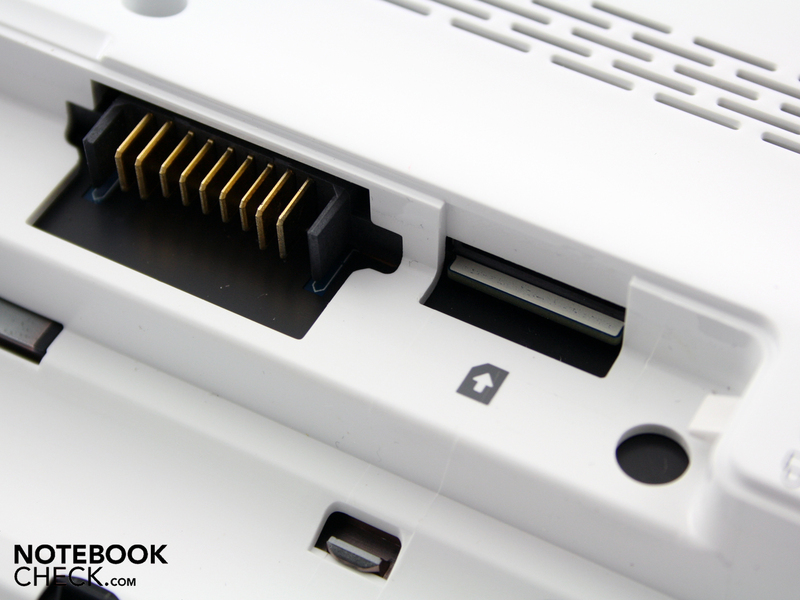 However, there isn't a technical possibility for an HDMI connection when the Broadcom chip is used. We'll just have to wait for Pine Trail netbooks based on Nvidia with ION2. The keys have a distinct stroke length, a clear pressure point and a firm stroke. The entire input surface doesn't yield anywhere. The keys are all in a small distance to each other, but we can type unerringly. The reason is the wide key base and the well-executed layout with a broad return, shift and control key. Unfortunately, the palpable markings on F and J can't be felt well. In short: The key input has a good feedback and even frequent typists will accommodate quickly. The mouse pad from Synaptics has many settings for individualization. The scroll bar's sensitivity, speed and the width, among other things, can be modified. The pad isn't capable of multi-touch gestures. A one-finger zoom substitutes it. This isn't anything but a vertical scrollbar on the left. It's not enabled standardly. 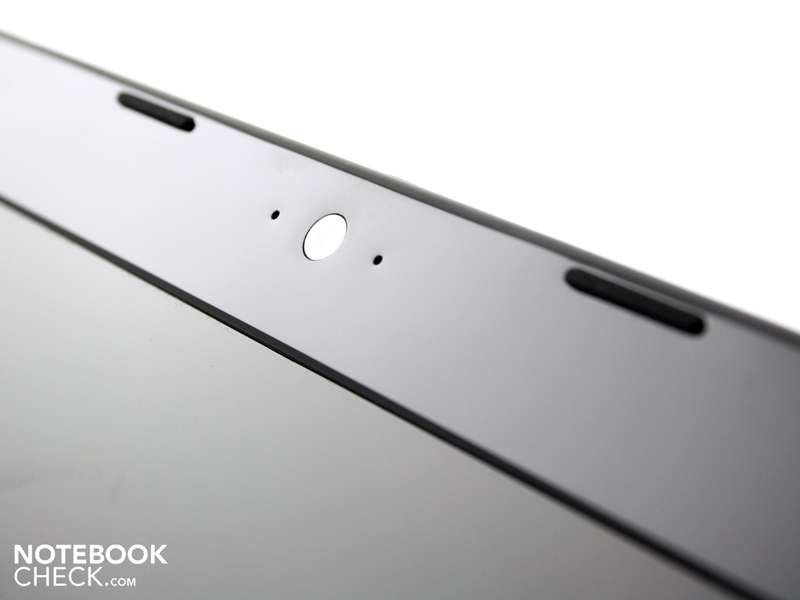 The surface of the pad, sensitive up to its edges, is pleasantly matt. 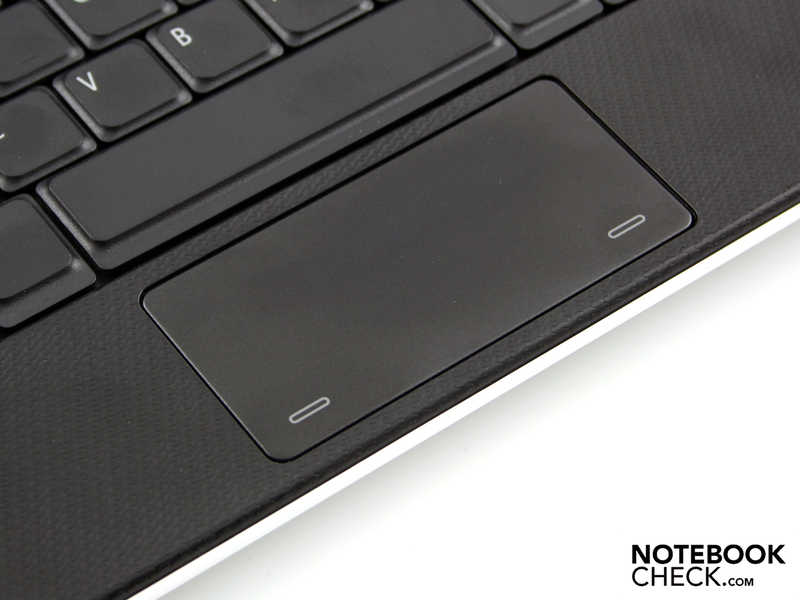 Because the left and right mouse keys are underneath the pad, the entire visible surface can be used for movements or scrolling. Thus, a very big touchpad for netbook standards is created. The pad keys have a short stroke length and a quiet click noise. We often had the problem of the keys not responding during use. The one or other click simply wasn't accepted. In return, a double click on the pad's surface always worked. 1366x768 pixels - a lot of place for surfing. Dell builds in a reflective 10.1 inch TFT with an HD Ready resolution. The image can stretch itself over a lavish 1366x768 pixels. The overview and working on the display is made a lot easier in comparison to netbook typical WSVGA in 1024x600 pixels. Web sites, optimized for 1280 pixels, finally fit on the display. However, the contrast hasn't been improved, as it is on a low level with 236:1. The lowest contrast in netbooks is around 140:1, so this rate is even presentable. But we perceive a color intense image in connection with the glare type display. That's good for movies and pictures. The screen's brightness is very good with an achieved 243 cd/m2. The average on the entire surface is 232 cd/m2. The high brightness is too high for dim rooms and has to be reduced considerably by the user. The level steps for this are agreeably very narrow. The TFT's backlight is an arresting energy consumer, but the user can't deactivate it. The high brightness would have been great for daytime outdoor use. The next summer will come and the user will want to enjoy movies and emails alike in the cafe or on the balcony. The TFT's reflective characteristic makes this impossible. The high luminosity would have been perfect, but the intense reflections on the display disturb the picture. Users will always again be forced to change to a shadowy place or sit in a certain viewing angle. 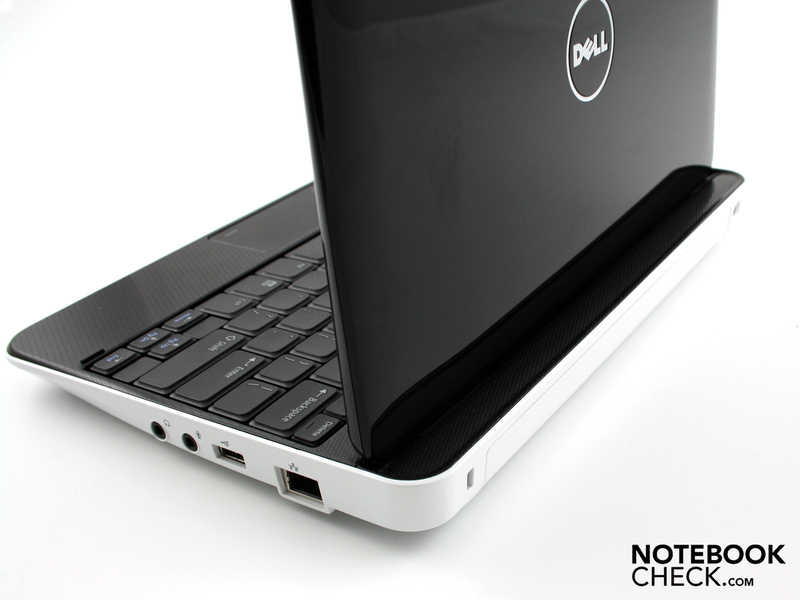 The Dell Mini 1012's viewing angles are good on the horizontal plane. Writing is readable up to about 60 degrees and the colors barely falsify. However, the brightness already decreases evidently at about 25 degrees. If several people are watching a movie, one person might complain about a too dark image, while the others take delight in a perfect illumination. The eyes of the user should only deviate up to 25 degrees on the vertical plane. After that, the colors invert visibly. We can't recognize writing at a 45 degree vertical deviation any longer, so for example when looking down on the screen. 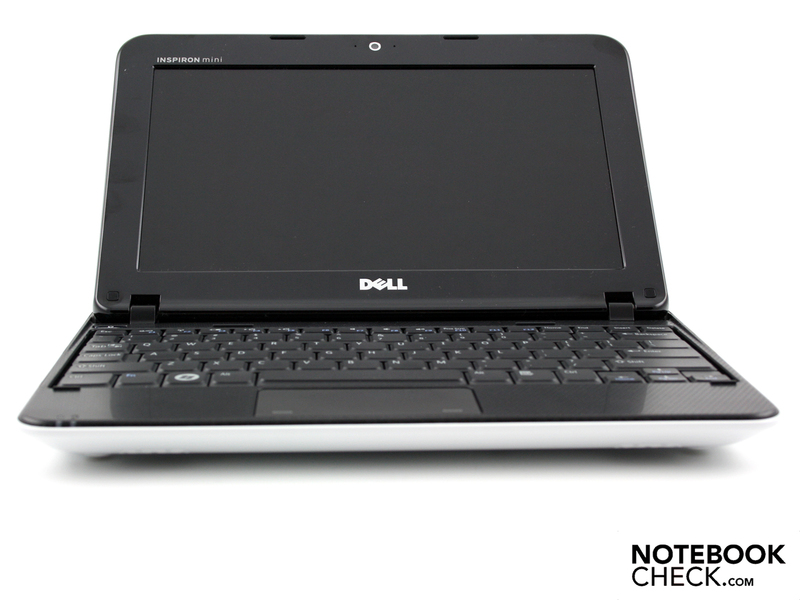 The Pine Trail netbook, Dell Inspiron Mini 1012, uses an Intel Atom N450 processor (1.66 GHz) with integrated GMA 3150 graphics. 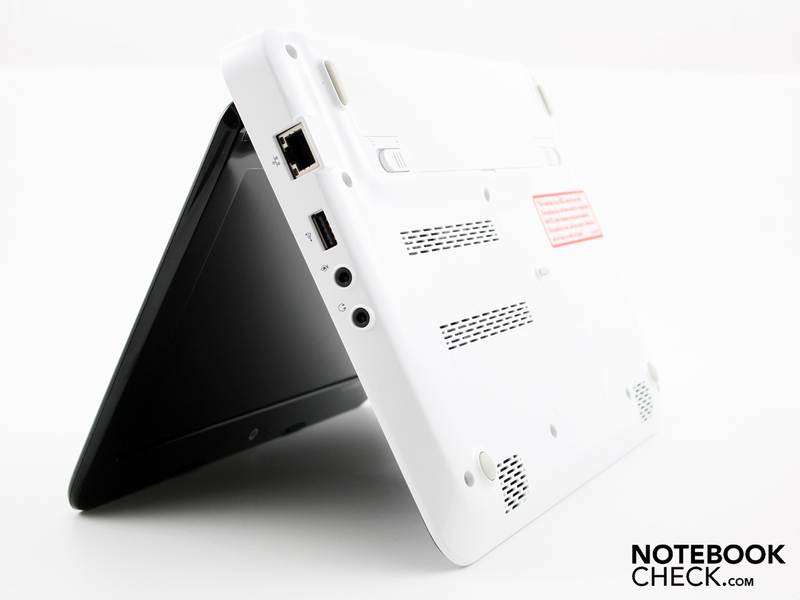 The N450 is the standard CPU of the new netbook generation. 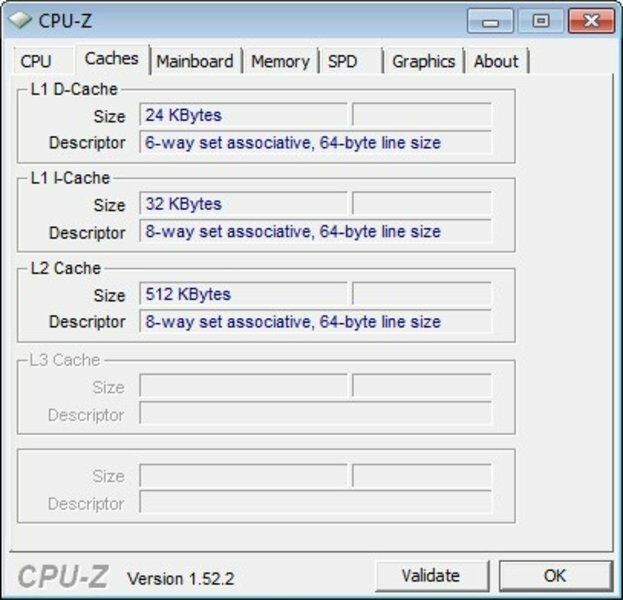 The processor has a small L2 cache of 512 KB. The performance data have barely improved in comparison to the Atom predecessor generation, N270 and N280. Intel's hyperthreading technology makes a second virtual core available for applications. 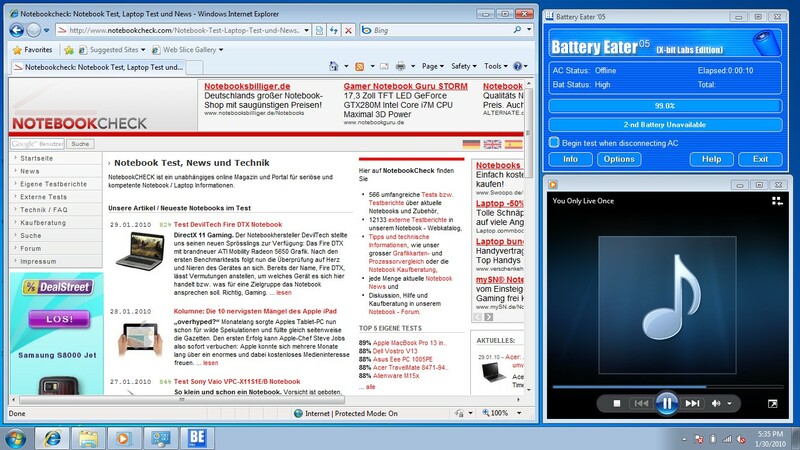 Thus, the Atom N450 can work with a multitasking OS, such as Windows 7 Starter, adequately, despite a weak computing performance. A 1024 MB DDR2 SDRAM and a 160 GB hard disk from Western Digital support the processor. The manufacturer makes it impossible to upgrade both of these components. There aren't any maintenance covers on the bottom. Even after removing all base plate screws, the inside won't budge out of the case. Tinkerers will find a solution because the keyboard can be lifted with a bit of careful fiddling. The last screws are underneath and reveal the HDD and memory. 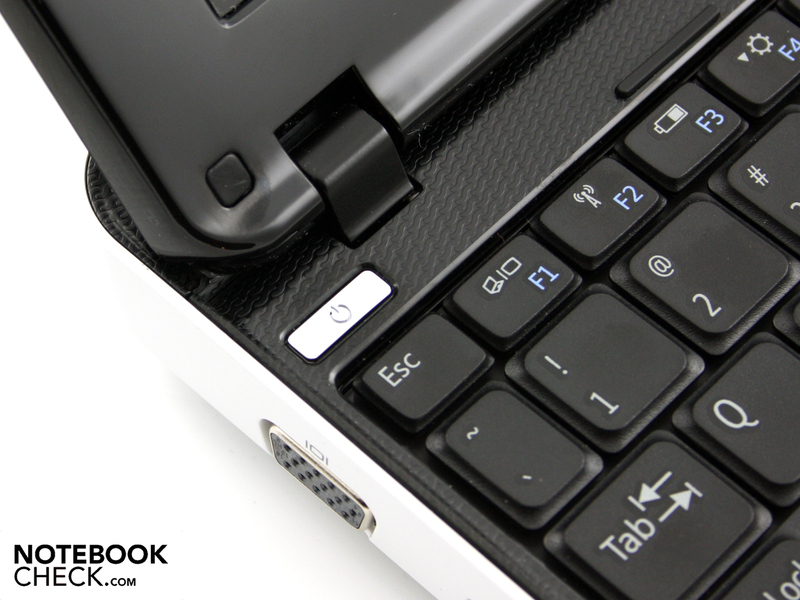 As in almost all netbooks, the 1024 MB bar is inserted and the hard disk is a common SATA 2.5 inch notebook HDD. If you need more place for your movies, you can currently take a 500 GB hard disk. Latencies, so time delays, impair the work of devices under Windows. If these are too high, it can come to problems when external devices are connected(for example sound crackling with external sound cards or short interruptions in Real-Time-Audio). The Mini 1012 does well in this exercise. The latencies always remained within a harmless field of under 500µ, according to the DPC Latency Checker. 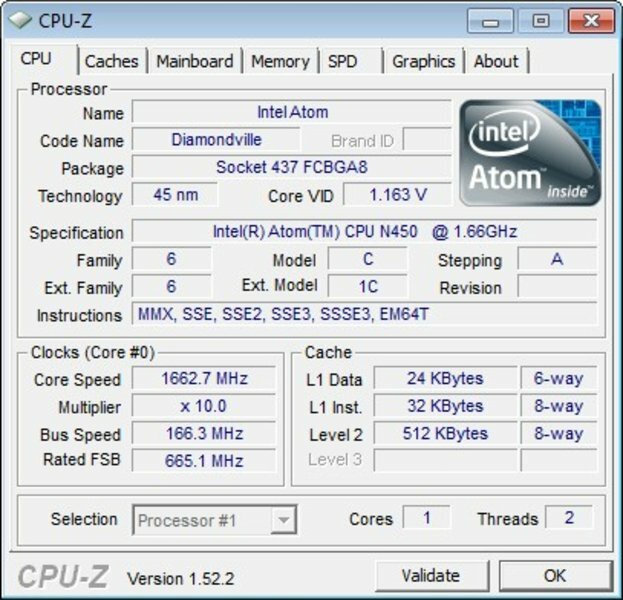 The processor benchmark certifies the Intel Atom N450 processor, with 1.66 GHz, a low but typical netbook performance. The Pine Trail range's advance has changed a lot in terms of architecture, but the mini PC's low performance has remained. 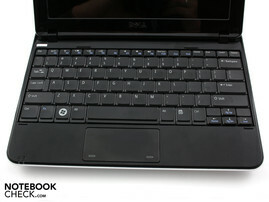 The user shouldn't demand more than Windows 7 Starter or a Linux OS from his Inspiron Mini 1012. The experienced application performance under Windows 7 turns out low. Directories, files or new programs only opened with a noticeable delay even in high performance mode. We experienced striking delays as soon as programs ran simultaneously. Playing music, having a browser with five tabs open and writing emails at the same time? This scenario only works with annoying delays. If users will want to accept the low system performance is ultimately a matter of the netbook's nature. Mobile surfing and checking emails - that always works. 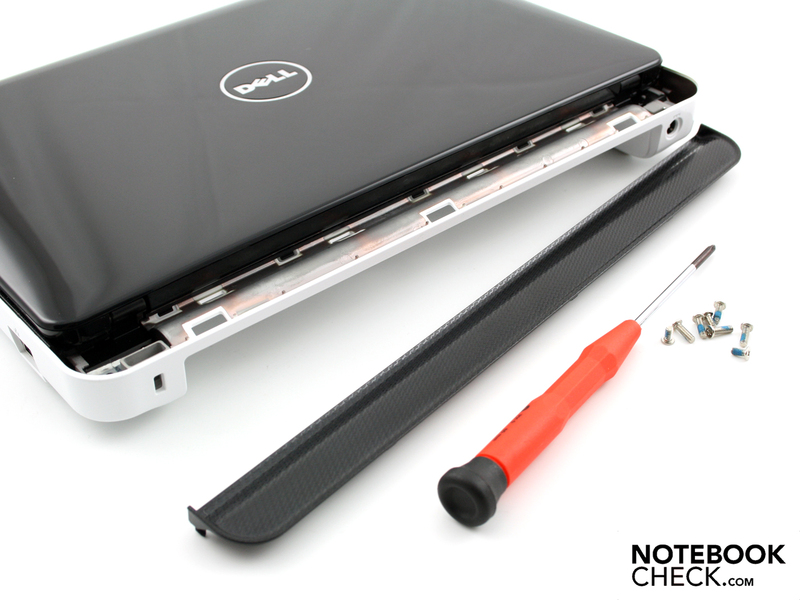 The Dell Inspiron Mini 1012 isn't a notebook replacement, though. Even the Broadcom HD module doesn't change that. The Western Digital hard disk (model WD1600BEVT-75ZCT2) with a gross capacity of 160 GByte accomplishes an acceptable throughput rate in HDTune. 53.8 MB/s in the sequential read tests aren't up-to-date of the latest SATA 2.5 inch notebook hard disks. The hard disk is almost silent in use. Because the Dell Mini 1012 doesn't have a fan, the Western Digital HDD makes the only audible noise. 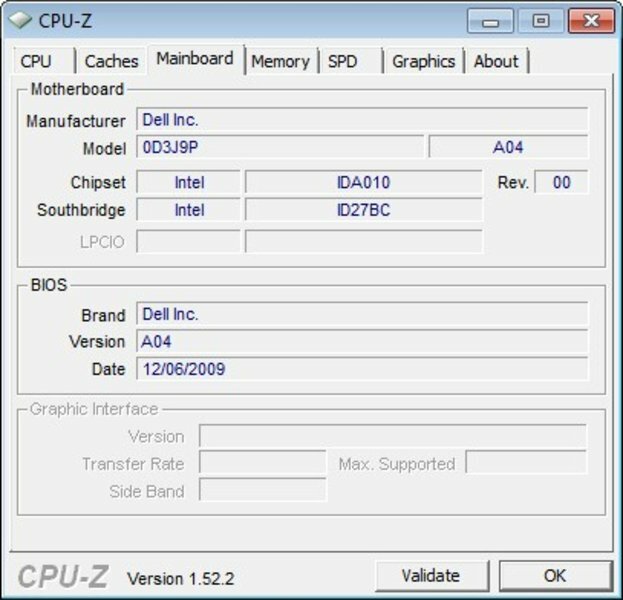 The Broadcom Crystal HD chip is a component that Dell has connected to the Pine Trail chip set via PCI Express. The Crystal HD can't do anything but to decode H.264 coded videos (MPEG4 format). The weak Atom N450 isn't fast enough for this. 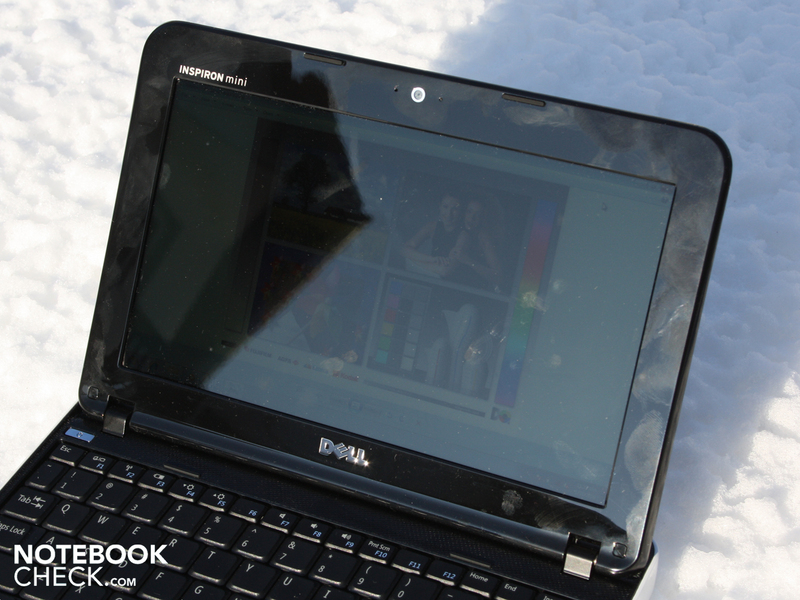 The Inspiron Mini 1012 passes the test - 720p and 1080p decoded movies are played smoothly. Especially agreeable: This also applies to battery mode in enabled energy savings mode. 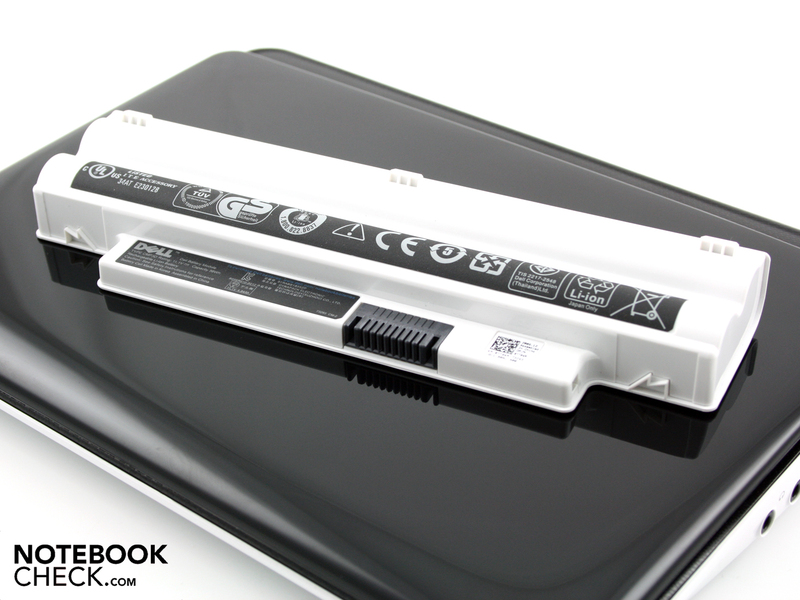 Read more about battery life under HD load in the mobility part. It does matter which media player a user chooses, though. We tried Windows Media Player 12, Media Player Classic, CyberLink's Power DVD, DivX Player 7.0 and the VLC Player 1.0.3. 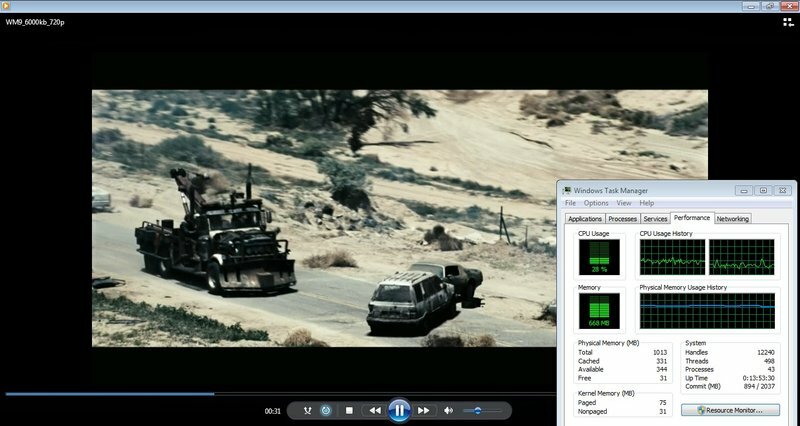 HD coded YouTube clips only ran on Windows Media Player 12/Classic and Power DVD 9.0 consistently smooth. 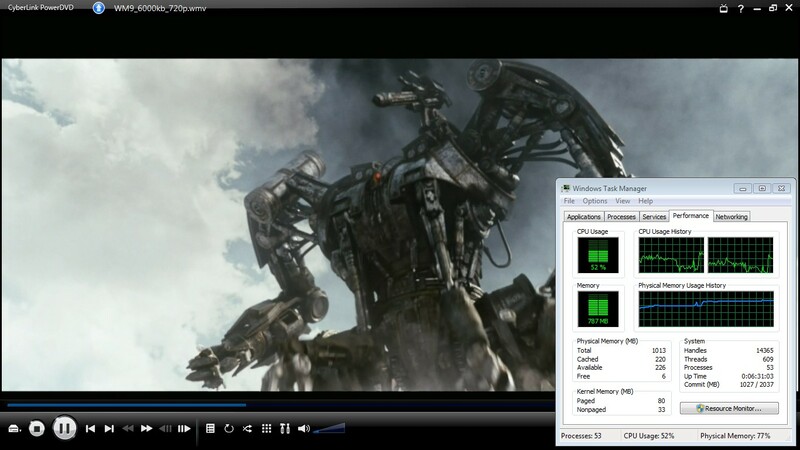 The screenshot shows that the Atom processor is only loaded between 28 (720p) and 41 percent (1080p) at the same time. 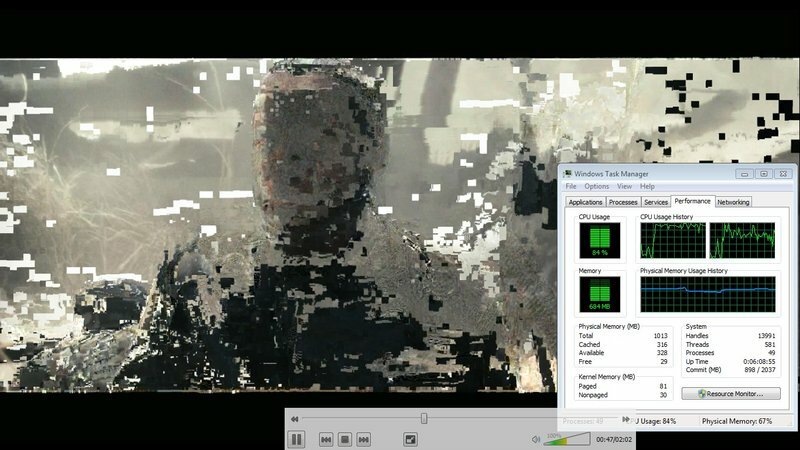 The players from DivX and VLC weren't able to render the clips smoothly and also created intense pixel errors. Even CyberLinks older Power DVD 7.0 only played the clips very juttery, even if without pixel errors. 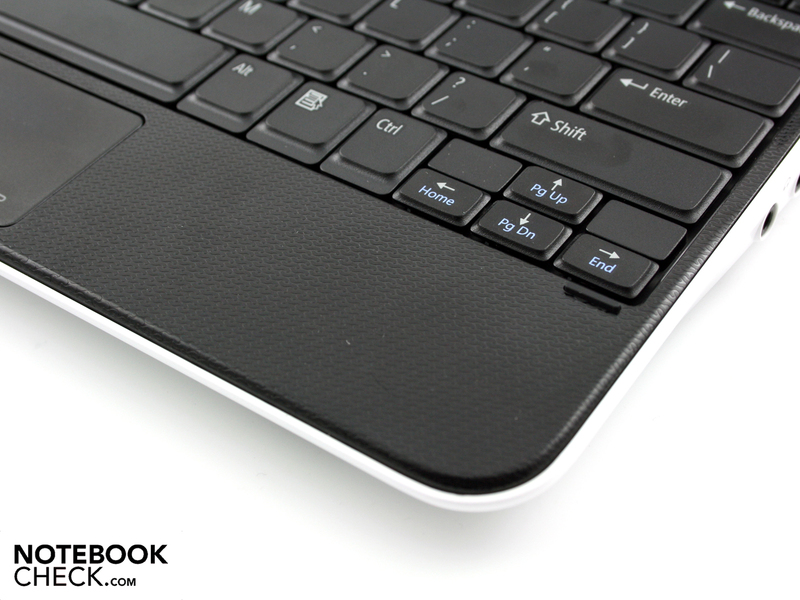 In short: The Broadcom Crystal HD chip allows for smooth HD on the netbook. 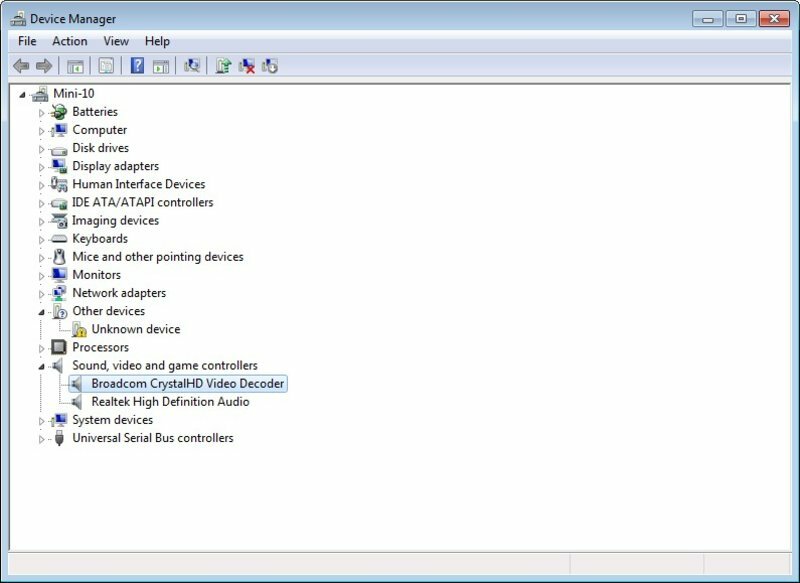 The suppliers of a few software players still have to incorporate the use of Crystal HD. However, HD decoding already works great with commercial players from Microsoft and CyberLink. 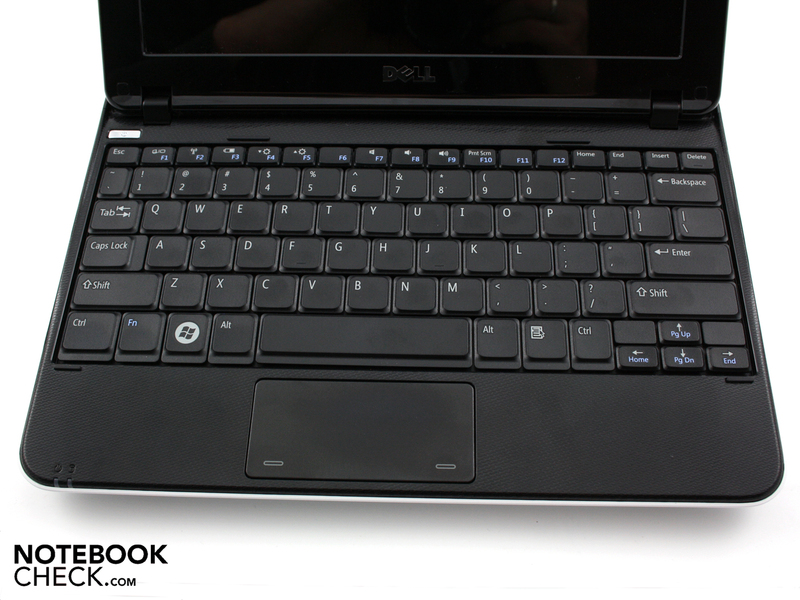 One of the Dell Inspiron Mini 1012 netbook's highlights is the omission of an active fan. The hard disk remains as the only component that emits a noise. Therefore, we could only record a basic level in the system noise measurement. 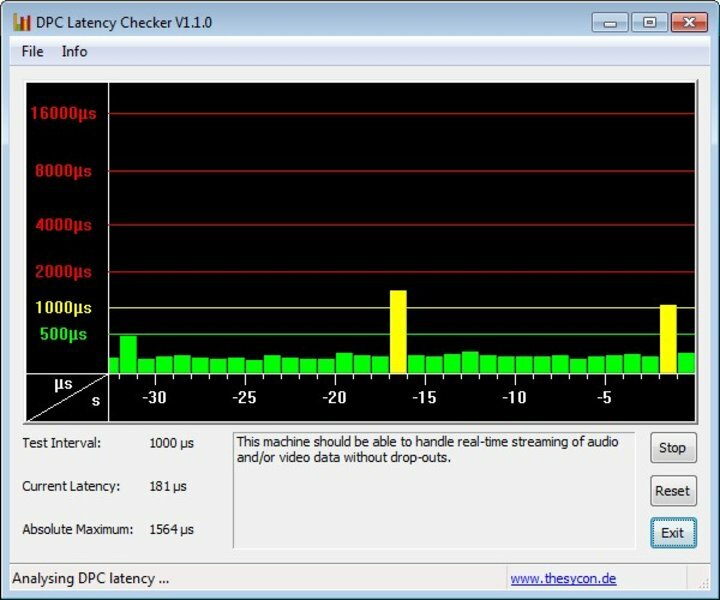 The level increases slightly from 28.8 dB(A) to 30.2 dB(A) as soon as the HDD moves its read and write heads. How does the fan-less chassis get the waste heat of CPU, Broadcom chip and hard disk out of the case? This, of course, can only be achieved over the surfaces and they heat up considerably to a part. 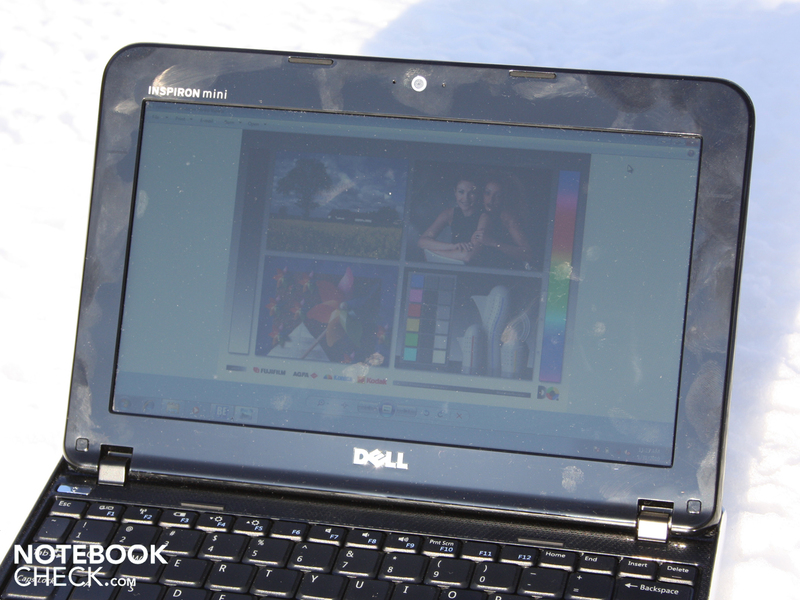 If the Inspiron Mini 1012 stays in idle, the upper side heats up to a maximum of 34.1 degrees. The base plate already heats up to 39.1 degrees selectively without processor load. If high temperatures are already reached in idle, then what happens under load? 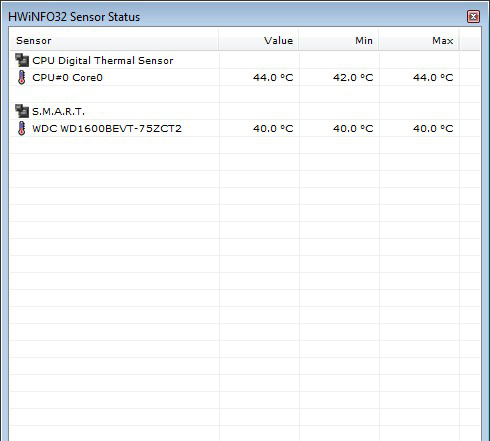 We tested how much waste heat Dell's 10 incher can develop on its surfaces with a stress test. Because the GPU test, Furmark, doesn't run on netbook graphic chips, we ran a 1080p trailer and Prime95. The Broadcom chip and processor work to capacity with that. This test case doesn't relate to a normal use situation, but notebooks have to be able to cope with such load. The previous warmest spot on the base plate reaches 51.6 degrees Celsius after two hours. The key field can present 48.2 degrees in the upper right. Those are definitely exorbitant temperatures, which make a use on the lap impossible. The surrounding temperature during this stress test was in a normal field of 22.5 degrees room temperature. The Atom N450's core temperature increases to alarming levels in the stress test. While normal rendering of a 1080p clip only results in a heating of 77 degrees, the temperature increases up to 102 degrees when Prime95 is additionally used (read out with CoreTemp 0.99.3). The high CPU temperature doesn't cause a performance loss by throttling, though. A Cinebench R10 CPU benchmark, executed immediately after, shows an unchanged result. Only the wrist-rest stays in an acceptable range during this maximum load. We measured 30.9 to 37.4 degrees. The temperature at normal use, surfing and watching videos, is less problematic than the stress test might suggest. The listed peak temperatures fall to 41.2 degrees on the base plate and 36.5 degrees on the upper side. The wrist-rest doesn't exceed the 34 degree mark. 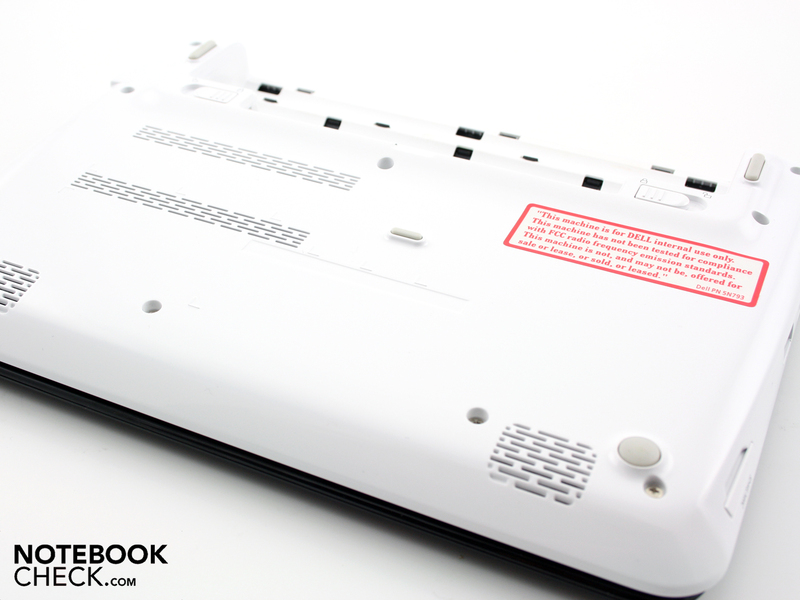 Our test proves that a fan-less cooling system doesn't only have advantages, even with netbook components. 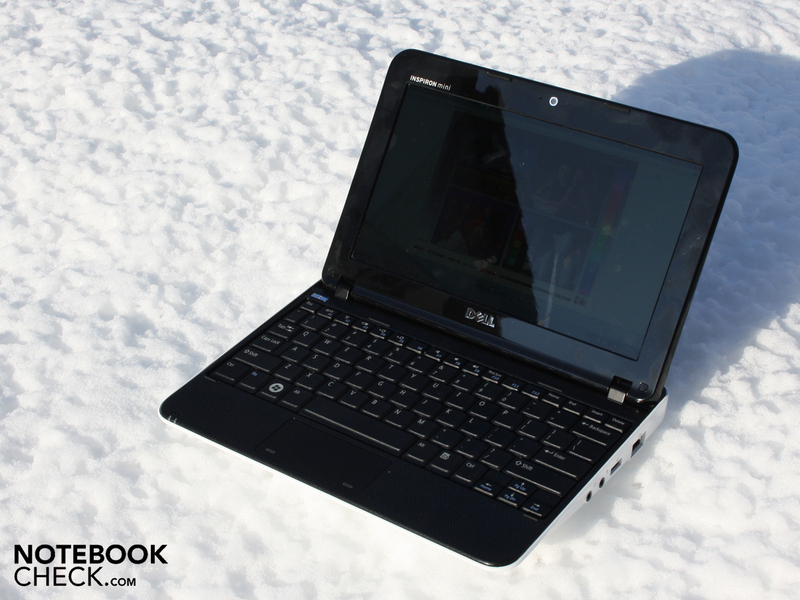 Users should think twice if they want to cozy up under the blanket with the Inspiron Mini 1012 for a movie session. A shutdown could be the result. (-) The average temperature for the upper side under maximal load is 40.1 °C / 104 F, compared to the average of 29.8 °C / 86 F for the devices in the class Netbook. (-) The maximum temperature on the upper side is 48.2 °C / 119 F, compared to the average of 33 °C / 91 F, ranging from 21.6 to 53.2 °C for the class Netbook. (-) The average temperature of the palmrest area of similar devices was 29.3 °C / 84.7 F (-8.1 °C / -14.6 F). The Mini 1012's loudspeakers are underneath the wrist-rest. The sound is treble-prone and leaves out all bass. We could turn up the volume quite far without distortions at the maximum volume. The user should leave the SRS sound enhancement on, in any case. The trebles get even more dominant when it's disabled. External loudspeakers or headphones are therefore a good option. 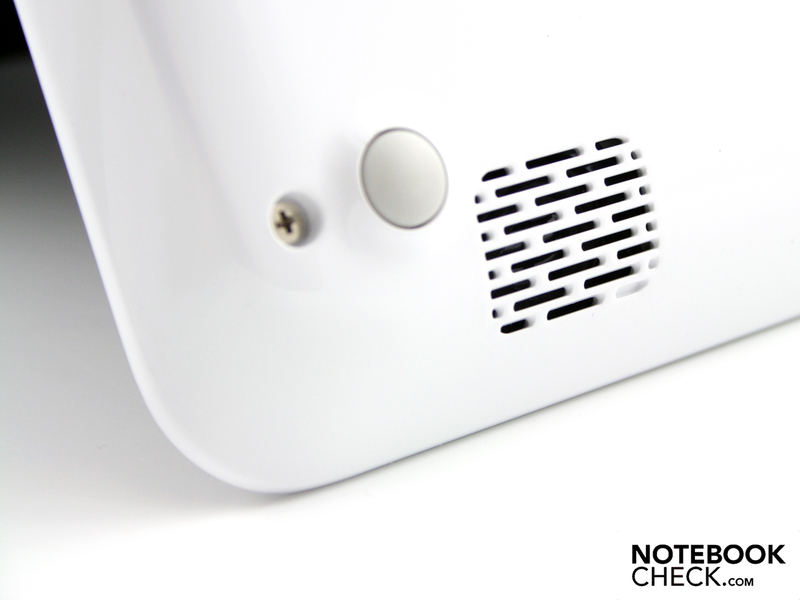 The audio sockets have a clean, that is white noise-free, output level. If the maximum energy savings options are enabled, then the Inspiron Mini 1012 prototype reaches a runtime of almost 10 hours. The netbook was activated in these 588 minutes but with disabled WLAN and lowest brightness. The real runtime that potential buyers can count with should be around seven hours. The real battery life is very close to our WLAN surfing test. The battery was empty after 6:29 hours. We visited YouTube a few times and flew over news sites. The LED screen ran on medium settings in these runtime tests, so by about 130 cd/m2. We also checked the battery life during movie rendering. Instead of using a DVD from an external USB DVD drive, it was a 720p video clip from the hard disk. The trailer first came to a stop after 5:38 hours (329 minutes). The netbook ran in energy savings mode; WLAN and Bluetooth were disabled. Brightness was set to a medium level. 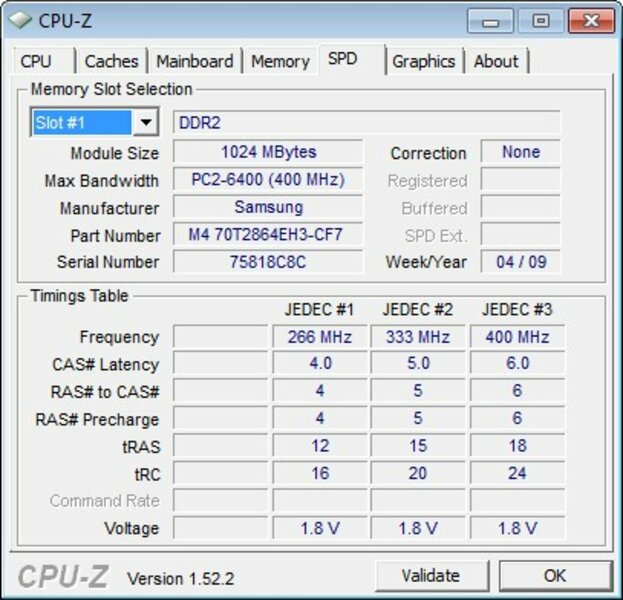 Thus, the Broadcom HD chip optimized for work as a H.264 decoder proves to be very frugal in terms of power consumption. Two overlength movies are easily managed with one battery charge. The extremely long runtime in idle mode also shows that the HD chip doesn't need any or as good as no electricity when it's inactive. The Mini 1012's long battery life indicates a very low energy requirement. The 10.1 incher only needs 5.6 watts in idle mode. 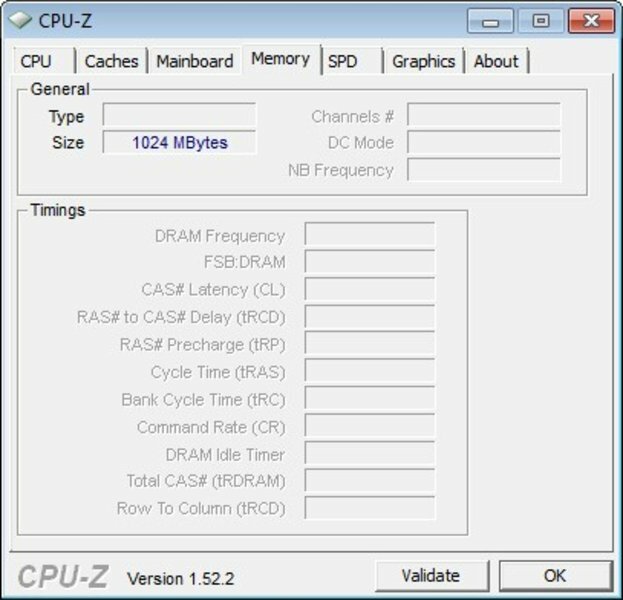 If the Mini 1012 is demanded and both the hard disk and CPU have to work, then the power consumption can increase to 14.4 watts. Even 15.9 watts can be achieved under the condition of the stress test as above. 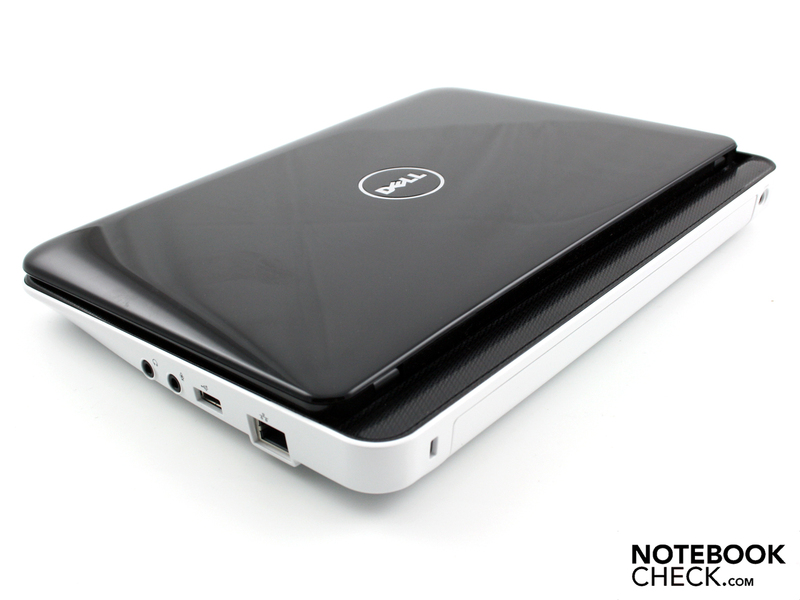 The Dell Inspiron Mini 1012, in the reviewed alternative with a Broadcom Crystal HD chip and a high resolution HD Ready display resolution, can achieve many points in battery life. 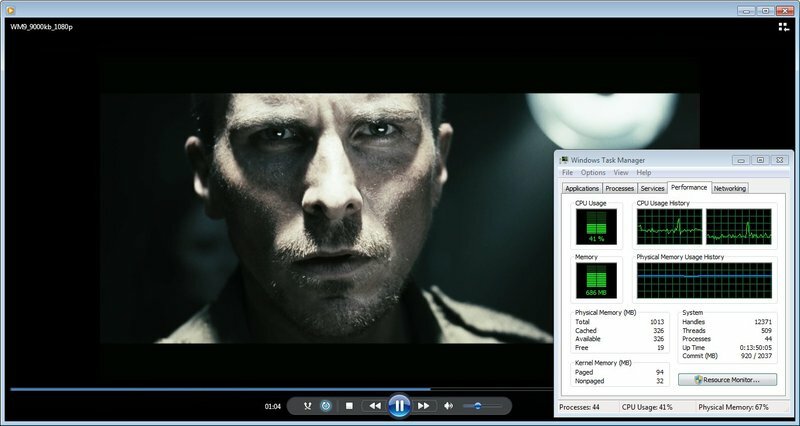 We found 5:38 hours playing a 720p decoded movie especially remarkable. 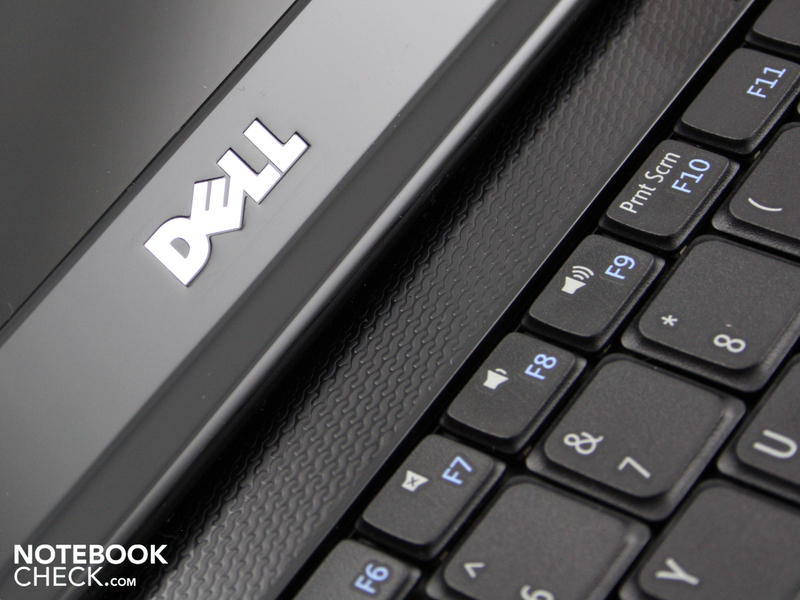 Dell's 10 incher is suitable as a mobile entertainer with that and the bright display. 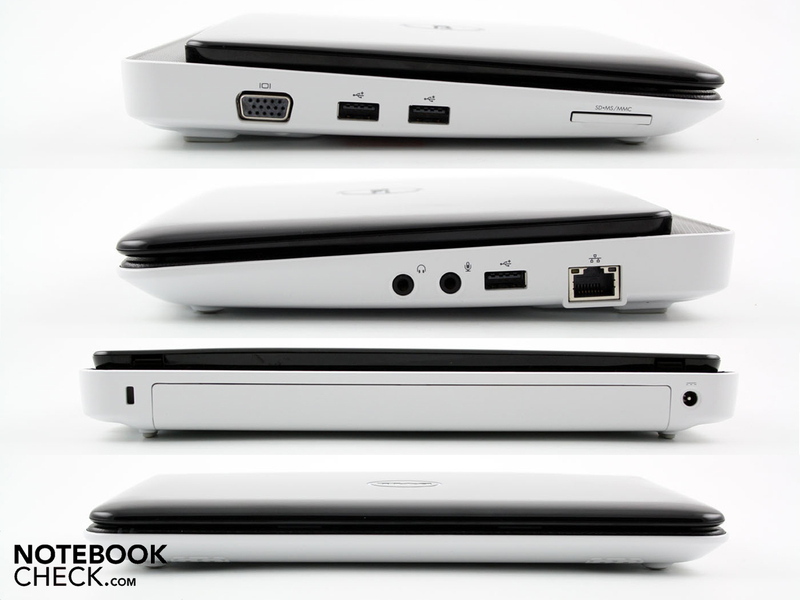 Additionally, the case is as robust as rarely another netbook. 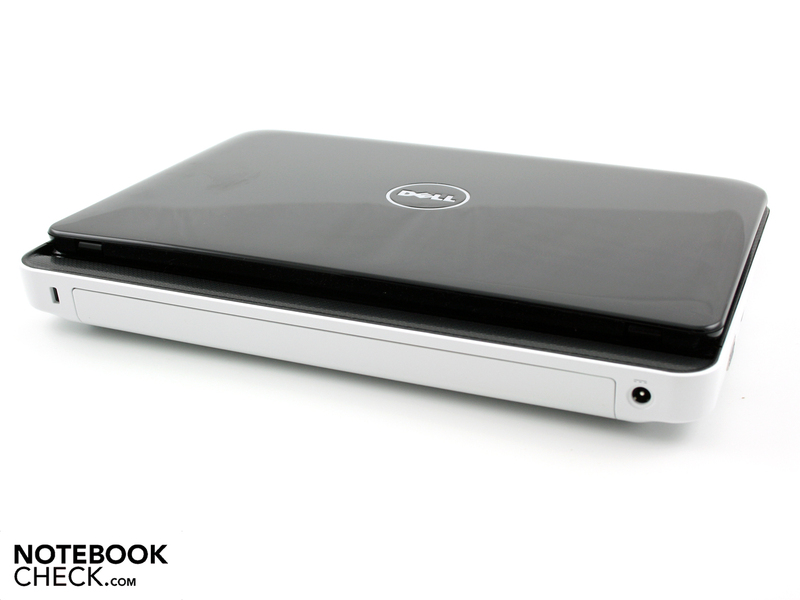 The Inspiron Mini 1012 is a fan-less mini notebook. This has disadvantages, especially in demanding use with HD decoding and processor load. The upper and bottom side get too warm and exceed the 50 degree mark selectively. The Dell Inspiron Mini 1012 will start at 249 euro. 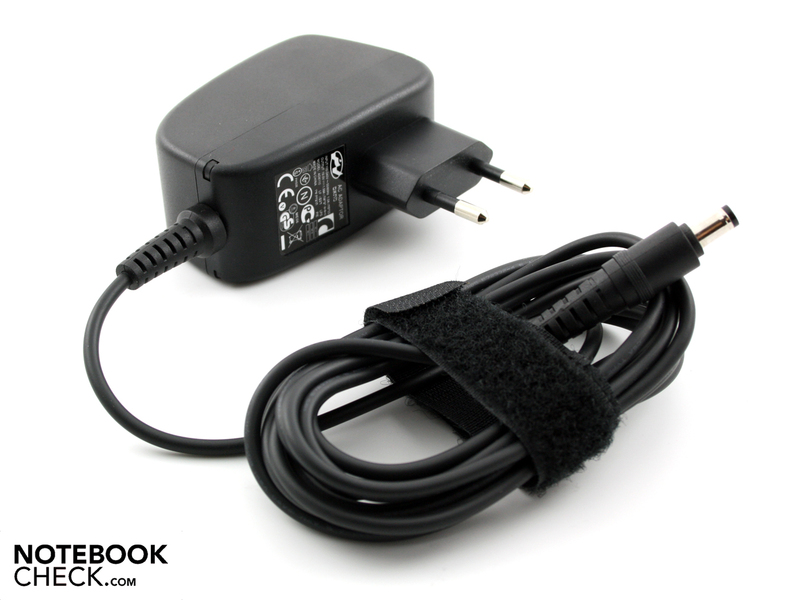 This price refers to the basic version without HD display, Broadcom chip and Bluetooth. The special features of the pre-series prototype aren't yet available in the online shop. The HD display is supposed to have a surcharge of 100 euro, the Broadcom chip 50 to 80 euro. However, there will be an HD bundle with both components where the surcharges aren't added up. Dell states mid February as availability time. 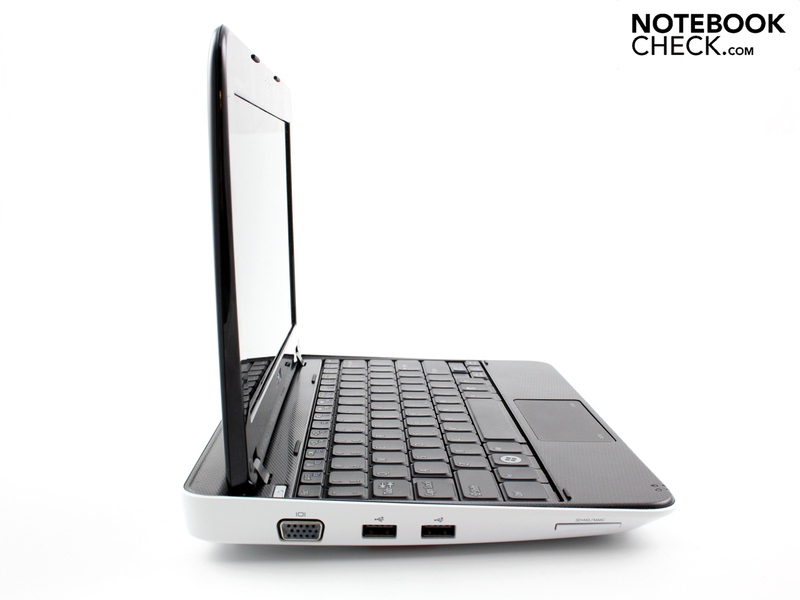 If you're looking for a netbook alternative for a mobile movie experience, you'll only find the Nvidia-Ion systems, Samsung N510, HP Compaq Mini 311 and Lenovo S12, beside the Mini 1201. The Ion 11.6 and 12 incher cost around 375 to 450 euro. The flaw of these alternatives: The battery life isn't even close to as good as in the Inspiron Mini 1012. The Samsung N510 lasts at most for 5:53 without a plug in idle mode. Dell's 10 incher achieves almost 10 hours. The other runtime measurements turn out similarly unfavorable for Nvidia Ion netbooks, in comparison. Five and a half hours of runtime with 720p video clips and six and a half hours for surfing without using the HD chip. No other Nvidia Ion netbook bids such runtimes. An HDMI-out and a matt display. That not more manufacturers have had the idea of building in an HD chip like that of Broadcom. The perpetual "I want HD" problem would be solved and the minis still have a very good runtime, anyway. HP's Compaq Mini 311 is on top in terms of price with 375 euro. 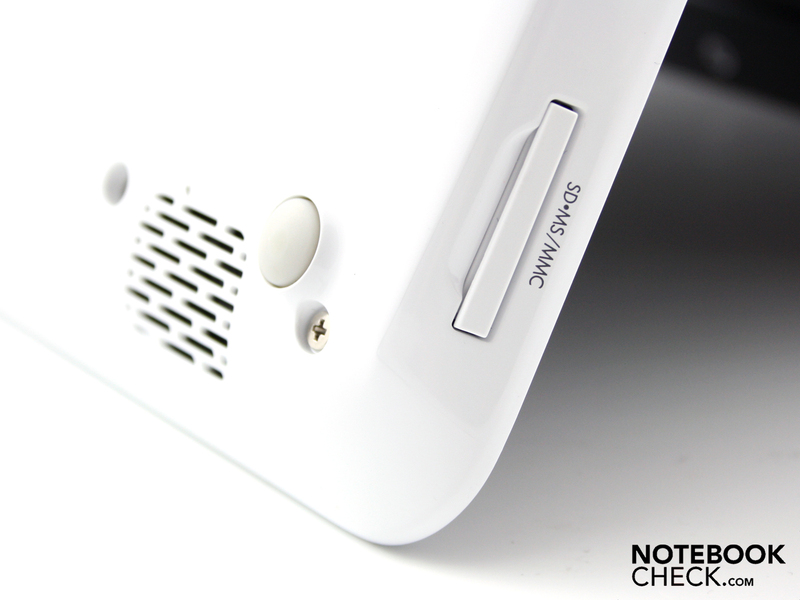 The Samsung N510 costs 425 euro and is also suitable for outdoor fans with a matt display. The most expensive is Lenovo's S12 for 450 euro. 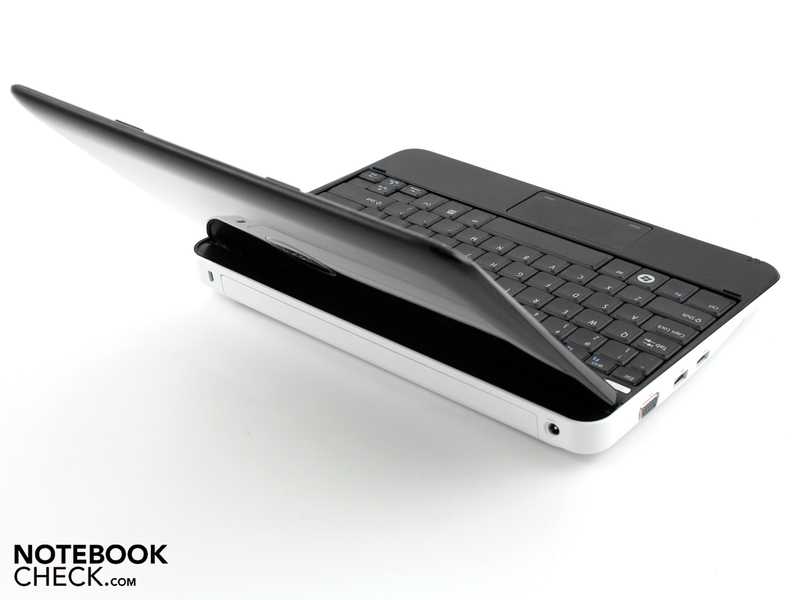 All three notebooks are 11.6 inchers with a shorter battery life.